In a rare case of suo motu re-classification, Suman Jain, sister of Bajaj Auto Chairman Rahul Bajaj, has tagged herself as an ordinary shareholder in the automaker. In a letter addressed to the Bajaj Auto chairman, she claimed although she is an immediate relative of Bajaj, she didn’t have any role to play in the daily operations of the company. This move will substantially reduce regulatory obligations and compliance liability of Jain as she will no longer be treated as an “insider” under the Securities and Exchange Board of India’s (Sebi’s) prohibition of insider trading rules. Jain, who holds 0.36 per cent in the company, argued she can’t be termed a promoter by merely being the sister of the promoter. Legal experts say the move is significant as it could open the door for more such reclassification. “Sebi may relax condition for re-classification in specific cases, if it is satisfied about the non-exercise of control by the outgoing promoter,” said Yogesh Chande, partner, Shardul Amarchand Mangaldas. According to him, in the recent past, many promoters who were not actively involved in control or not involved in the day-to-day activities of the board’s decision-making process have chosen to reclassify themselves as public shareholders, so that they are exempted from various regulatory obligations. There may be several such cases (like Bajaj Auto) where a promoter shareholder is passive in exercising control over a listed company, and may want to be reclassified as a public shareholder, said Chande. Jain cited various other reasons for her removal/deletion from the promoter category. According to her, she cannot be defined as an insider as she is not a “connected person” under the said rule. She also has no access to any unpublished price sensitive information and did not exercise control over the company. Further, her husband and family own a large business, which they handle and control. “I am not the insider for the purposes of the new Sebi’s insider trading regulations, 2015. I, therefore, request you to exclude my name from the list of your insiders and also my holdings from the promoter group with immediate effect in your various filings with the stock exchanges,” she said in the letter addressed to her brother. In the letter, she also cited the Sebi’s informal guidance on the definition of immediate relative. She said there was a rebuttable presumption even in the case of the spouse. And such presumption was there, unless rebutted so. 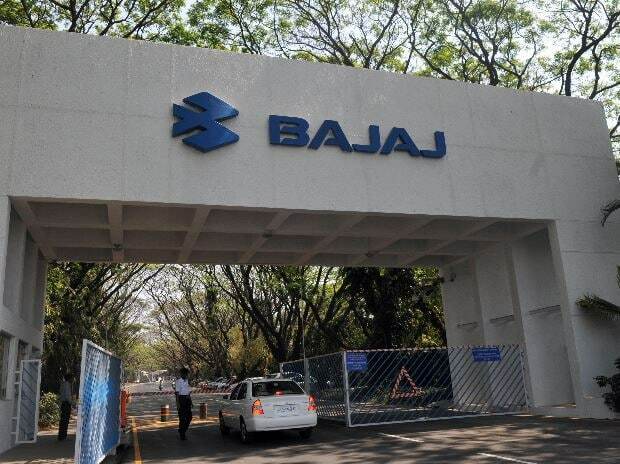 Citing the submission by Jain, Bajaj Auto on Monday intimated the stock exchanges about the change in promoter shareholding and requested the bourses to exclude her name from the promoter group category. With this, promoter shareholding of the company now stands reduced to 48.94 per cent from 49.30 per cent, the company said in a filing to exchanges. According to the BSE, promoters or companies seeking reclassification of promoters are required to take prior approval from the exchange. Accordingly, the company needs to comply with the applicable provisions of the Sebi’s listing norms. “Regulation 31A of Sebi’s listing regulations allow modification of the status of the shareholders, only upon receipt of a request from the concerned listed entity or the concerned shareholders, along with all relevant evidence and on being satisfied with the compliance of conditions mentioned in this regulation,” the BSE said in response to an emailed query. In case of entities listed on more than one stock exchange, the concerned stock exchanges have to jointly decide on the application of the entity/shareholders, the BSE said. The Sebi, in 2015, had issued guidelines for reclassification of certain promoters into the public category because such promoters do not directly or indirectly exercise control over the affairs of the company. According to it, shareholders’ nod is not required for re-classification of promoter group members to public category, subject to certain conditions. The guidelines were issued after two co-founders of Infosys, N R Narayana Murthy and S Gopalakrishnan, made a request for the re-classification.